comments and suggestions of over 900 happy customers making it "Software Tailored for You!" to keep track of their donors, donations, pledges and more. 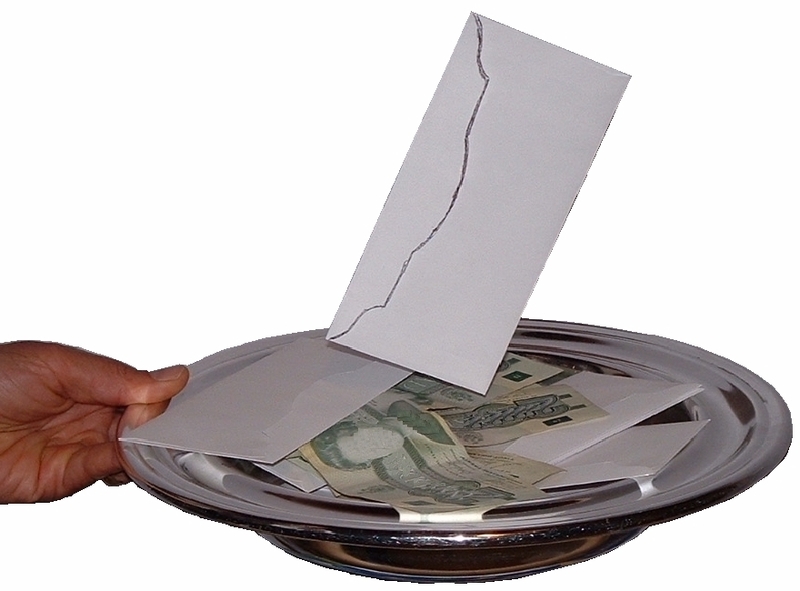 speed up entry of your church donations using a check reader. You read the check, the person is found and you just type the amount. 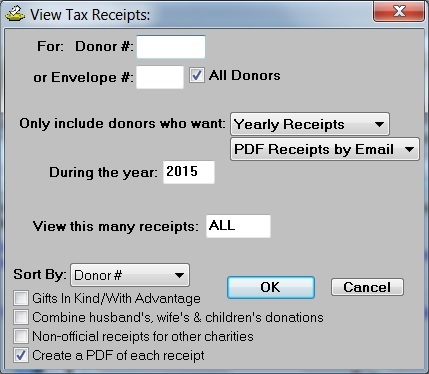 Online donations are imported from your online giving provider. 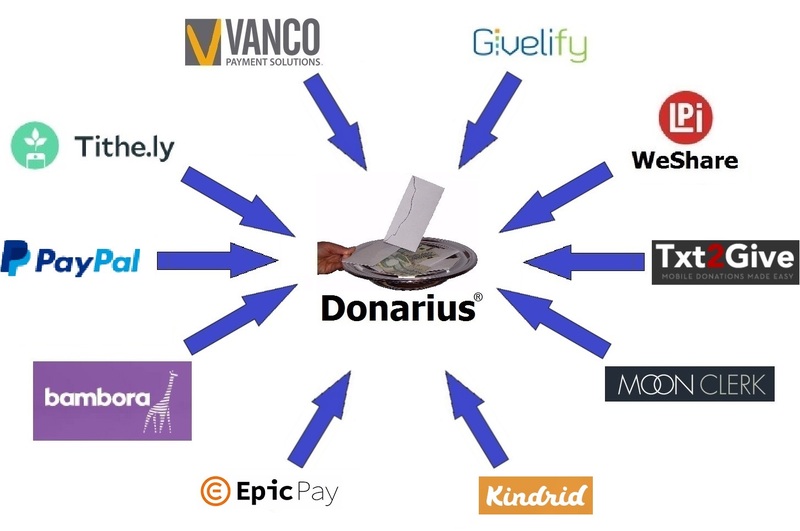 Donarius Church Management Software is integrated with PayPal, Vanco, WeShare, Moonclerk, Givelify, Bambora, Tithe.ly, Txt2Give and Stewardship Technology so that you can import in 3 easy steps (click a link, select the file, click an Import button). 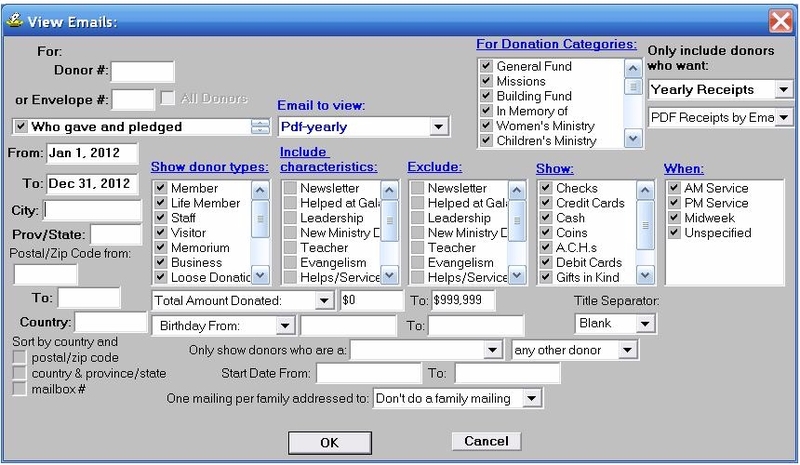 You just need to add the Pre-authorized Deposits / Online Donations module. print quarterly statements or email them as PDF files. by sharing files over the Internet. but you get the same functionality without any monthly fee. The first one is no charge and any changes after that have a small setup fee. 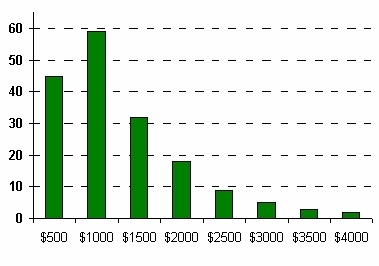 display a graph of the number of members per contribution range. Donarius® church management software controls what actions each user is allowed to do. For example, you determine what tellers/counters are allowed to view/edit and which reports they can see. You can also prevent them from knowing anyone's envelope #. Other users can have full access. A password must be given when the software is started. Each user has a unique password. This also means others can help you do some of the work, so you have more time. 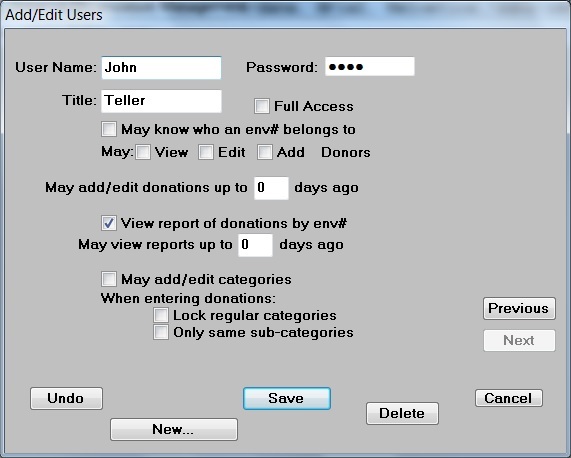 The software can also be used by a single user without any password, by not setting up any users. 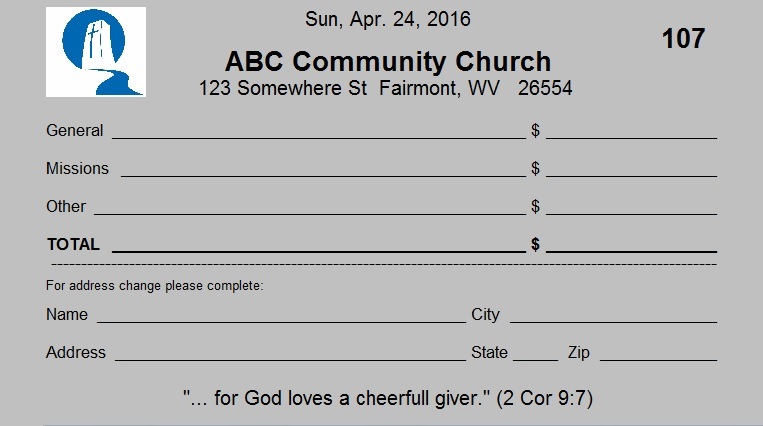 If you purchase from a church envelope company, you need to buy extra envelopes in case new donors want to start using them. When you print your own this is not necessary - just print them as you need them. Prints the date of each week in the year onto each envelope together with each person's envelope number. For people that start using envelopes partway through the year, just print the remaining weeks. The envelope can be formatted anyway you like. Two sample envelope formats are included. If you don't like either of these then send us a sample and we'll set it up for you. 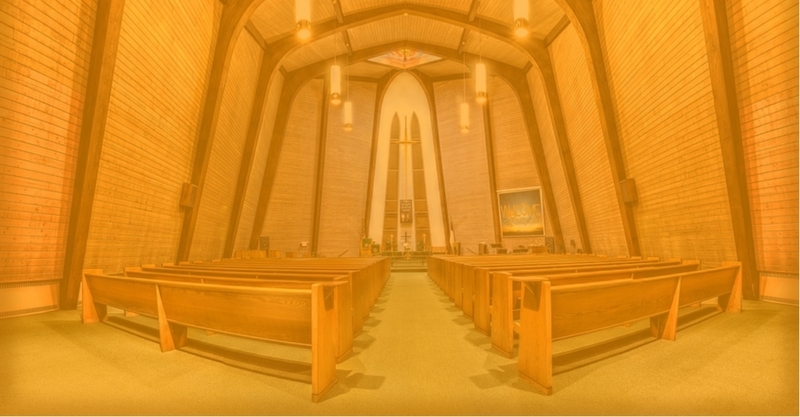 Donarius® makes it easy to print a church photo directory. Each person can have a family and/or an individual picture. Donarius® is installed on your computer. additional modules are $16.50 US ($18.00 CAD) each. Take advantage of our customization promise. We understand your church or ministry may face unique management issues that require changes to our current software design. That's why we're happy to modify your Donarius® software to fit your individual needs, at no extra charge. We make this extraordinary offer for two reasons. Firstly, we want our church management software to be the very best it can be. Your improvements may very well help other churches and ministries be even more effective. Secondly, as a Christian company, we are committed to "loving our neighbor" with excellent service and affordable prices on our donation software. Call us today to find out more, or download your free demo copy today to see how Donarius® can maximize efficiency, while saving you time and money!